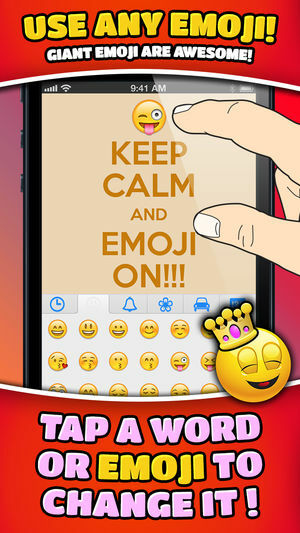 ‘Emoji Keep Calm Funny Poster Creator’ from Tiny Mobile, allows users to easily become a poster creator/designer/joker, making and sharing hilarious, topical, irreverent and inside joke laden creations. Now, mashing in the famous Emoji keyboard, we’ve Jumbo Sized the standard emojis and allow you to place all your favorites in XL size directly at the top of your poster!!! Optimized for sharing with friends, every poster is formatted at just the right size for an easy upload to Instagram. 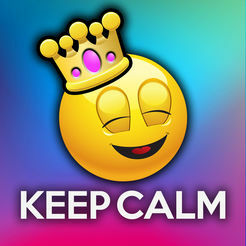 ‘Emoji Keep Calm Funny Poster Creator’ is the best, only and most intuitive tool for creating ‘Keep Calm Emoji posters, allowing creators to see their changes as they edit and create(Wysiwig). 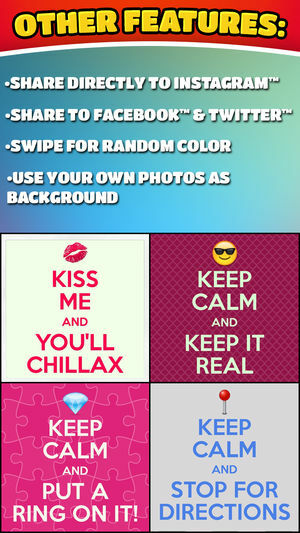 You won’t get immediate feedback with the other Keep Calm app options on the App Store, which is totally key to making the funniest posters. •Gigantic Emoji!!! Use them in a funny poster and send to friends! •Best Interface: interact directly with words and Emoji and get immediate visual feedback! •Open Instagram directly from the app! Instagram will launch with your finished poster ready to be tweaked and uploaded. No need to sift through photo albums! •Send your poster to a friend (or group), via text message, without leaving the app! •Share hilarious inside jokes with friends privately via text message or email! •Or distribute your creations to the world via Twitter™, Facebook™ & Instagram™! •Copy creation to the clipboard, or save to ‘Photos’ & use it in any capable app! The possibilities are endless!!! 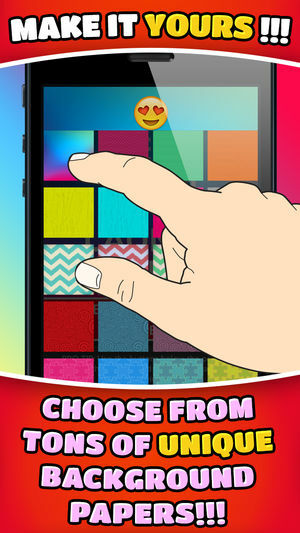 •Every single Emoji at your fingertips and tons of backgrounds, the possibilities are endless! •Use images from your own photo albums or Photo Stream as background! •Swipe left for random background color, Swipe right for random text color! 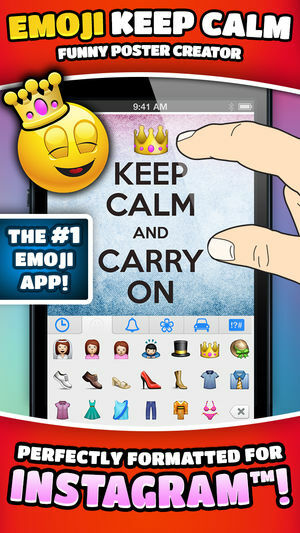 For a limited time, Emoji Keep Calm Funny Poster Creator 1.0 is Free and available worldwide exclusively through the App Store in the Photography and Entertainment categories.